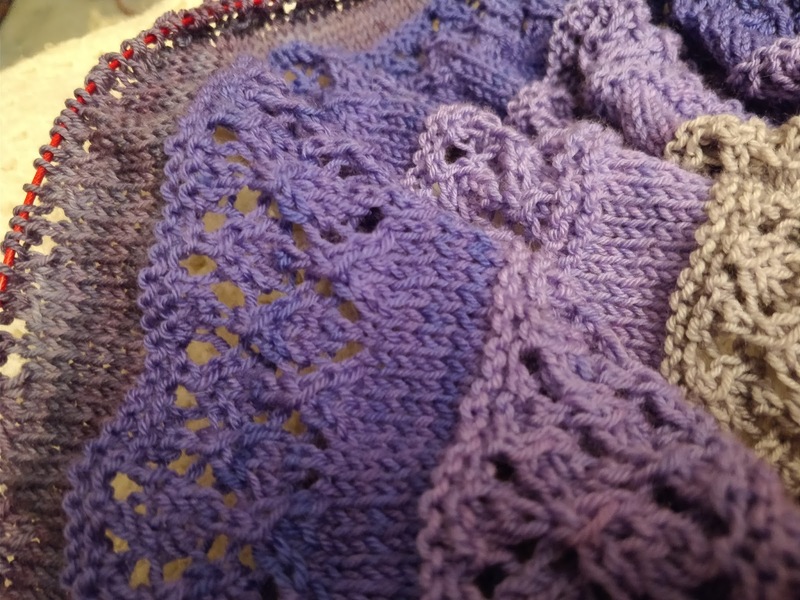 Progress has been swift on this shawl for Mother Hand. I'm into the lace of the fourth colour now. Eight more rows of that colour, then onto the last. I am shortening the lace panels as I go, to account for the extra width. 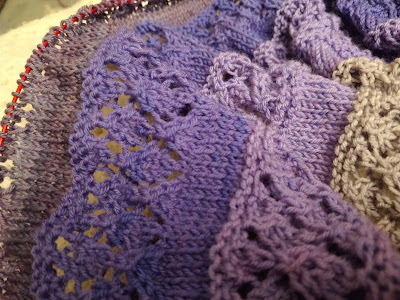 The first one was 16 rows; the second two were 12 rows each, and I ran out of the third purple with about 12 stitches to go, so that was about right. Hopefully I will make eight rows in colour four. I'm excited to see it off the needles. It's, of course, all squashed up on the needle so I can't get any idea of the scale of it or how it is shaped.